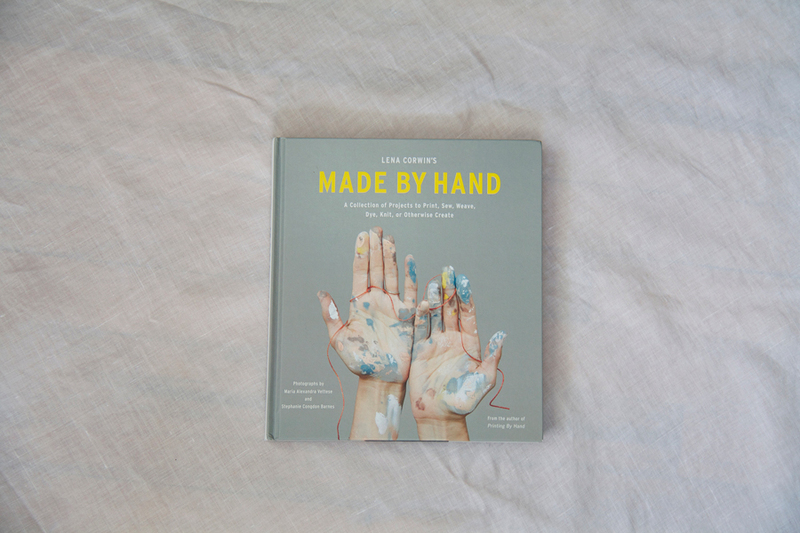 For Christmas this year, Rhiannon gave me a copy of Made By Hand, a beautiful compilation of projects collected by Lena Corwin and featuring a variety of artists and designers. In the book, Ilana Kohn shares some marbling fabric how-tos, Erin Considine makes a colorful coiled bowl (the project I'm most excited to make), and Jenny Gordy sews a beginner's dress with a drawstring waist and ties at the shoulders. There are many more projects from other talented creators, and I highly recommend grabbing the book for yourself. 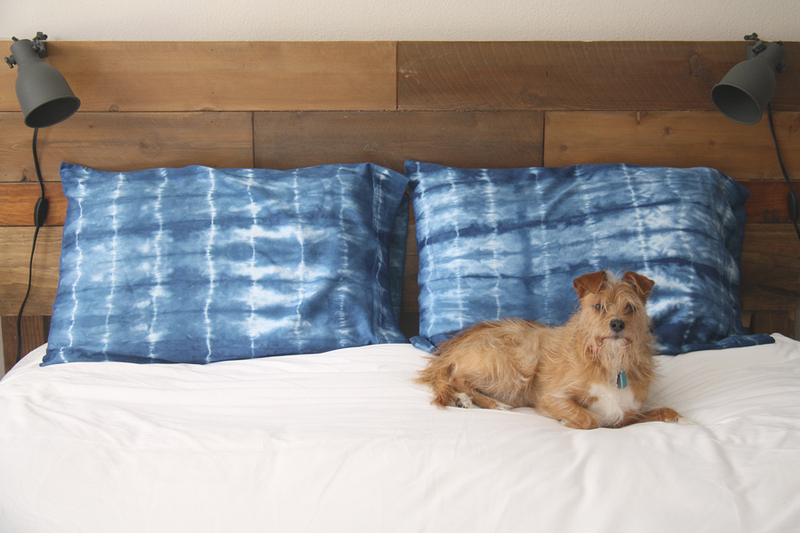 I decided to use Shabd Simon-Alexander's tie-dyed pillowcase tutorial as my first project, but I made a few changes due to what I had in the house. In the book, Shabd dyes with Procion MX dyes and teaches you how to use them, but since I had indigo on hand I chose to dye with that. 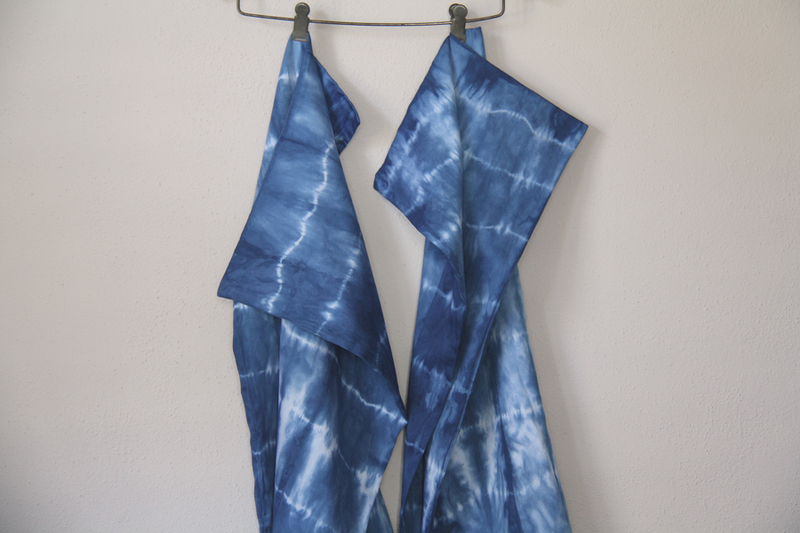 I picked up a couple of pillowcases from a nearby home goods store and used rubber bands included in the indigo dye kit. Dharma Trading Co sells cotton pillowcases meant for dyeing, but they're kind of expensive and I had excellent results on regular white pillowcases, which cost half as much from the home goods store. 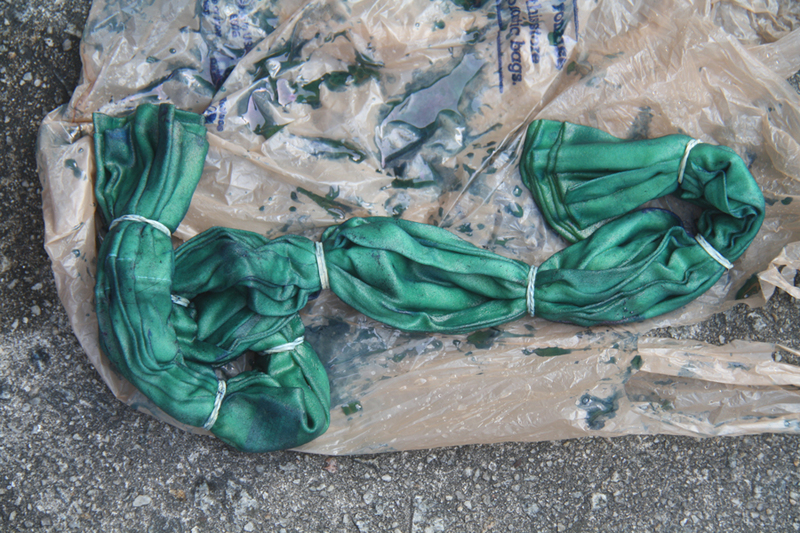 Also, I recommend washing your pillowcases in textile detergent post-dye. Simple and effective - fold your pillowcases in on themselves hotdog-style (lengthwise), neat little accordion folds for a uniform, straight pattern, haphazardly scrunched for a wild pattern. Bind them with rubber bands every 2-3 inches. Shabd uses string to bind the pillowcase in her tutorial, which results in a lovely, thin weave throughout the pillowcase. Rubber bands will create thin, unconnected vertical lines. Dye the pillowcases. 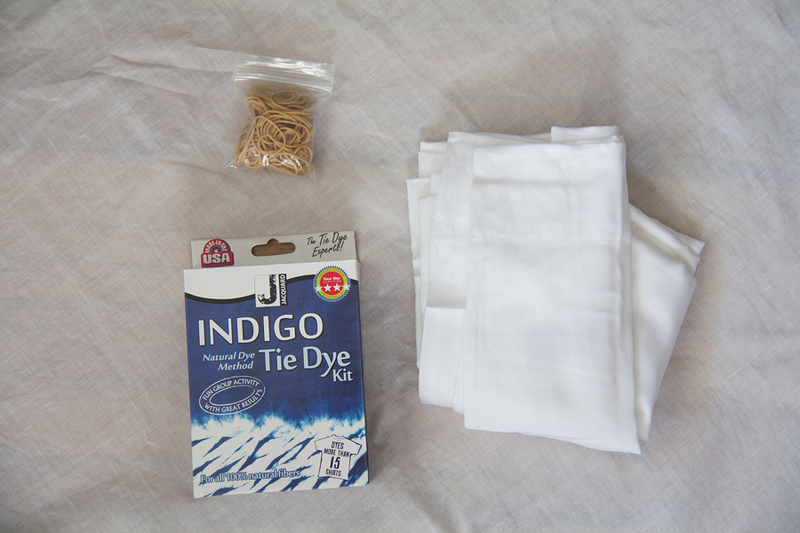 With the indigo kit, wet your fabric, squeeze out excess water, submerge in dye vat for one to two minutes, gently pull fabric out of vat and allow to sit in the air and oxidize for 20 minutes. 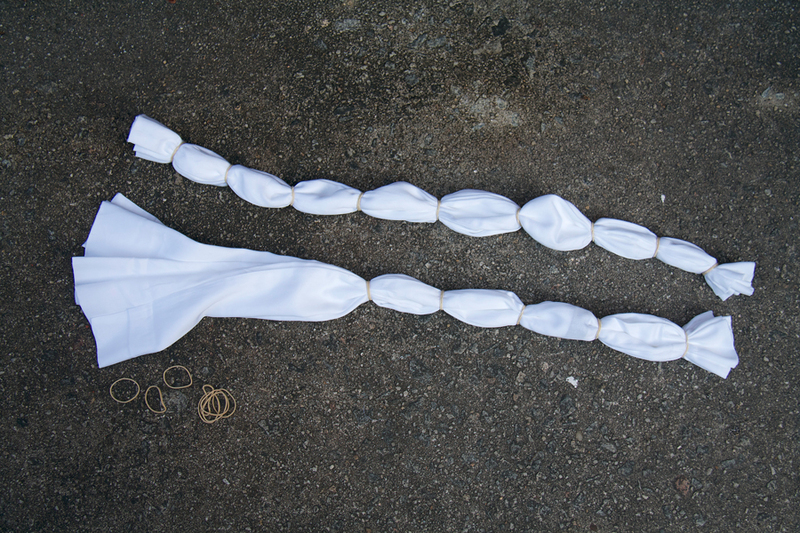 Run cold water over your fabric and remove the rubber bands under cold water. Finally, wash in textile detergent with warm water on delicate cycle, tumble dry low. 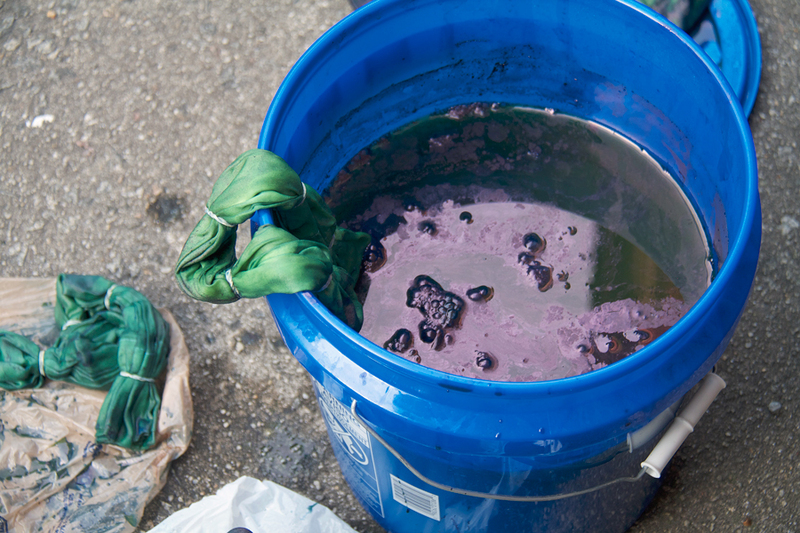 This batch of indigo turned out rich and deep. The pillowcase pattern is a little more uniform than I expected - which I like. But next time (maybe for a pillow cover to put on our couch), I'll try binding the fabric loosely. Buy Made By Hand here - you can find Shabd Simon-Alexander's book, Tie Dye: Dye It, Wear It, Share It on Amazon as well.